Today we have added acute coronary syndrome (ACS) to our Diseases and Conditions section. 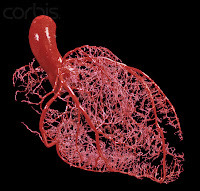 ACS is a blockage of the small blood vessels that supply the heart muscle with oxygen. It includes heart attack, called myocardial infarction, and chest pain or discomfort, called angina. Overall, we found some evidence that people with ACS are less likely to die or to have major adverse cardiac events, and to have more rapid relief from their pain, if they receive hyperbaric oxygen therapy as part of their treatment. The hyperbaric community sits up and takes notice when the Cochrane Collaboration, with its sterling reputation and rigorous literature review methodologies, reports such a compelling body of evidence. ACS is lacking the all-important pivotal clinical trial for FDA clearance. But soon the healthcare community may add acute coronary syndrome to the growing list of great reasons to demand 24/7 access to hyperbaric medicine. Our new Acute Coronary Syndrome page also links visitors to select clinical and patient resources, including the groundbreaking and fascinating Framingham Heart Study and the American Heart Association's excellent HeartHub patient portal.